Eleven studio albums in, and a few line-up changes later, Italian symphonic power metal band Rhapsody of Fire is still going strong, having just released their twelfth record, “The eighth mountain”, with new vocalist Giacomo Voli, who took over from long-time frontman Fabio Lione, and new drummer Manu Lotter, who replaced Alex Holzwarth. 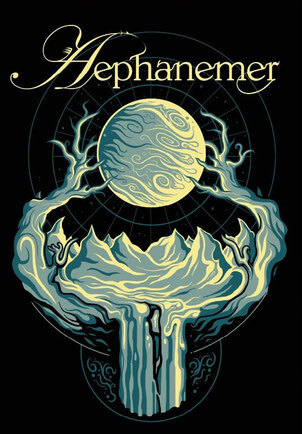 With this album writers Alex Staropoli and Roby De Micheli have started a new saga, entitled The Nephilim’s Empire Saga. The album was released in February 22, on AFM Records. And true enough, listening to this album feels like going on an adventure with Bilbo and Gandalf. For others is may be the perfect soundtrack to a game of Dungeons & Dragons. For me is the ideal material to listen to while waiting for the final season of Game of Thrones to air in April. The basic idea is that it has that fast-paced rhythm to it that makes is quite enjoyable, while the dramatic backing orchestration gives the album a rather strong fantasy vibe. The songs flow together smoothly from the ominous intro “Abyss of pain” until the lengthy and epic “Tales of a hero’s fate” closes the proceedings on a very grandiose note. In between we have alert, high-energy songs, with powerful drums and chugging guitars, more or less in the vein of lead single “Rain of fury” with its soaring chorus, heavy riffs, classy piano lines, and catchy vocal melodies. Of note throughout this album are, as far as I’m concerned, “Warrior heart” where the backing flute melody in gives it a lighter feel as opposed to the somber lyrical content, “March against the tyrant” which starts slowly with acoustic guitar and vocals, but gradually builds up in momentum with speedy drumming from Manu Lotter and intense guitar work, and even some violin lines for extra theatrics, and the closing track “Tales of a hero’s fate” where all the trademark elements of Rhapsody of Fire came together in a seamless display of virtuosity, songwriting expertise, and subtle arrangements. There is a surprise towards the end of the track (and of the album) as the music abruptly comes to a halt to make way for a spoken passage by none other than the late Sir Christopher Lee. This really sets the scene for the next chapter of this saga. But honesty most of the songs can be seen as standout tracks with their own charm and beauty. As such we have “Seven heroic deeds” whose Latin verses and chorus made me think of Epica (and that’s never a bad sign), “White wizard” where Alex Staropoli’s keyboard soundscapes counter a bit the heaviness of the guitars, and the emotional ballad “The wind, the rain and the Moon” where vocalist Giacomo Voli is in the spotlight and shines brightly. “The courage to forgive” boasts a delicate orchestral backdrop with some operatic chants for extra punch which again bring to mind Epica and their flair for the dramatics, while the excellent guitar solo from Roby De Micheli just caps everything off with style. On the downside, this may be a concept album musically but it doesn’t feel like a concept album lyrically. And by that I mean that while the instrumental blends together pretty well from start to finish, only “March against the tyrant” speaks directly about Nephilims and how humanity rose up against them, while the rest of the songs talk about warriors and battles, in what feel like general terms. I am used to concept albums that have a logical continuation of the story, with each song acting like a piece of the puzzle (see “Tiara” from Seventh Wonder as reference). This, however, is not the case, even though, the individual songs are majestic and grand in their own right. 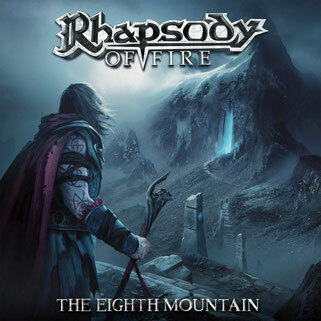 All in all, concept or not, “The Eight Mountain” is definitely a staple of classic power metal greatness, and a strong addition to Rhapsody of Fire’s vast catalogue. As for newcomer Giacomo Voli, he has proven himself a worthy successor to Fabio Lione, with his powerful yet melodic tenor voice and skilled vocal delivery. Considering this is the dawn of a new era in the restless Rhapsody [of Fire] history, it off to a really good and exciting start.